Rarity is an attribute awarded to the most authentic, bespoke and highly-desirable creations of luxury. Concours of Elegance will play host to a variety of automotive and motorsport icons spanning the decades all the way up to present day. No modern brand lives up to this ethos quite like Eadon Green’s Zeclat – a modern interpretation of classic automotive design which pays homage to famous coach builders of the 1930s like Figoni & Falaschi, Bugatti, Chapron, and PourTout. 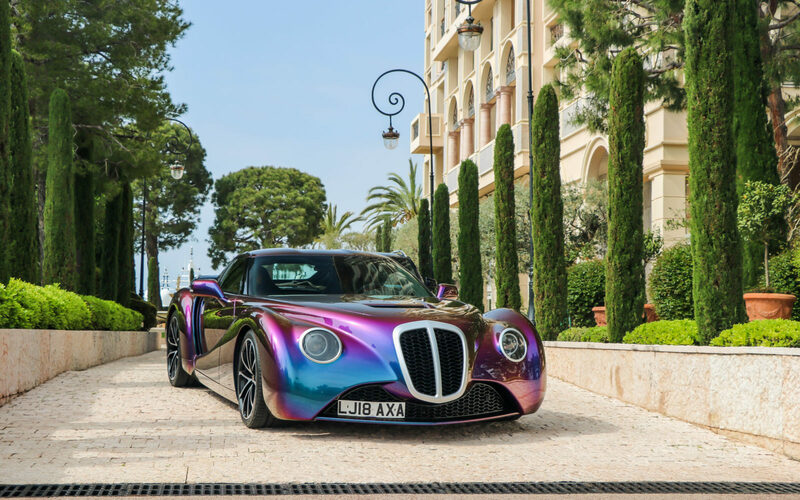 Taking pride of place within Hampton Court Palace later this month, Zeclat is a unique, artisan genesis from Eadon Green, founded upon the most ambitious, creative and uncompromising design houses in the modern automotive world. A renaissance in contemporary classic design, shaped by the wind and refined to cloak the meticulously engineered motor car. Zeclat is a groundbreaking creation inspired by the grace and poise of elegant motorcars from an Art Deco period and built with discerning patrons in mind. An expressionism devoid of restraint, Zeclat possesses the head-turning appeal which endorses the its place as artwork on the road. With every element of the car meticulously constructed, engineering and design is equalled by performance with Zeclat boasting a 6.2-litre naturally-aspirated V8 powerplant, the car is capable of a 0-60mph time of 3.6 seconds and a truly rewarding driving experience with a body design that works in concert to stabilise the car at speed and through cornering. An unrestrained masterpiece.